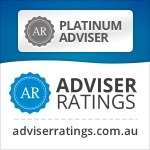 The ATO have just released the SMSF Quarterly Statistical Report for December 2012. 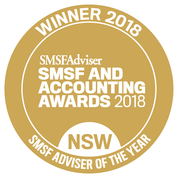 It’s good reading for those interested in SMSFs and especially for those embarking on the idea of using one as you can see that they are a well established and significant sector in the superannuation industry. As at June 2012 there were 478,579 Self-Managed Super Funds. This was a net increase of 37,174 (3,097/month) for the year. At this rate with 909K members we are looking at the 1,000,000 SMSF member around September 2013! Australian non-residential property dropped from 12% to 11.4% of total assets though it did increase by $5,213,000 whilst Australian residential property decreased from 3.7% to 3.5% of total assets though it did increase by $1,600,000. Over 91% of funds contain no more than 2 members emphasising that most of the funds are mum and dad funds and people are still hesitant to bring in their children. 22.5% are single member funds. The ATO believe that with their new data gatherign they will be able to provide additional operating expense reporting in the future. as they have made chnages to the 2012-13 SMSF Annual Return to colect more specific data. As always please contact me if you want to look at your own particular situation as we take you from novice to expert step by step over the long-term. We have offices in Castle Hill and Windsor but can meet clients anywhere in Sydney or via Skype. What happens if I don’t take the minimum pension?